Andruchi initially sold a few different roulette systems. They were quickly tested by the roulette community and found to fail. Now he appears to focus on casino promotion as an affiliate. Basically he gets paid for new online casino players he refers. Here Andruchi provides the affiliate links to online casino he claims are “flawed”. This is part of his explanation of his system that apparently only works at casinos he promotes. The Andruchi roulette systems are based on the law of a third and chaotic patterns. I am very familiar with chaotic patterns and systems based on the law of a third. Part of the theory Andruchi presents is correct, but it is incorrect where it counts which ultimately leads to the failure of the Andruchi roulette systems in the long term. Basically the law of a third is that out of 37 spins, approximately 1/3rd of them will be repeated numbers. But this is plain statistical probabilities, and it doesn’t at all tell you WHICH numbers will be repeated. It’s no different to saying out of 10 spins, some winning numbers will be red, and some will be black. It cannot in any way predict roulette spins or change the odds of winning. Andruchi claims his most recent players have generated favorable results, and that the results to be statistically significant. But this is nonsense even if the results are legitimate, because he presents only short term results. And even random bets can win over a few spins. He also claims his roulette systems win against a set of spins he has, but this is meaningless as any system can be “reverse engineered” to win against a set of spins. 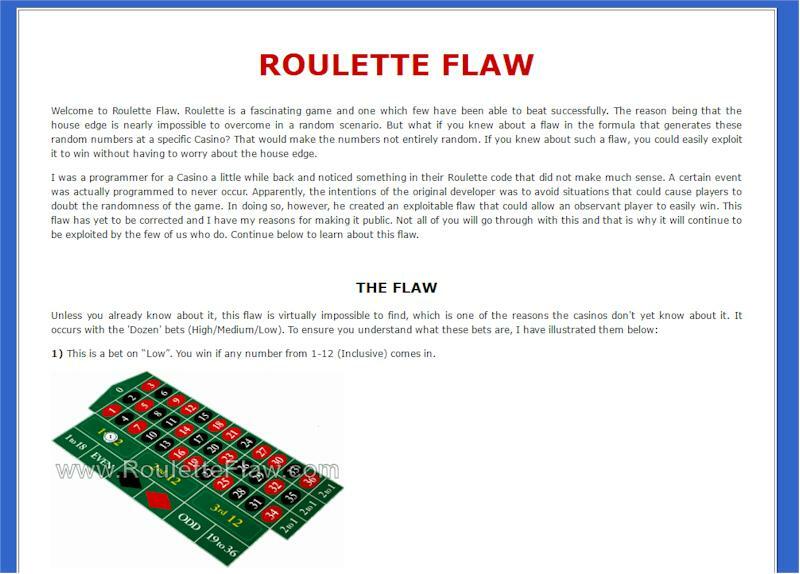 Thorough testing conducted by myself and many other roulette forum members clearly indicated the Andruchi roulette systems fail in the long term. UPDATE (15th MAR 2007): It is now apparent this seller is also responsible for the scam rouletteflaw.com and casinoflaw.com. 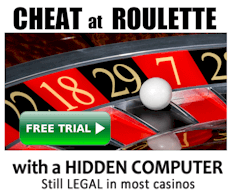 The web sites for these scams say there is a flaw in some online casino software, and that if you apply the free system provided at the specific casinos he tells you about, then you will win. All he is doing is asking you to sign up at those specific casinos so you he gets the commissions on your losses. These types of scams are not uncommon. In fact they’re everywhere. In other words he no longer appears to sell a system, he gives a system for free and says it will only work at the specific casinos he lists. But he of course doesn’t say he is paid commissions on losses from players. VERDICT: It should be obvious his casino promotion is a blatant scam. And his systems are based on the same principles that show he has a poor understanding of what’s required to consistently beat roulette. I’m sure he’d be aware his systems fail, but he continues to sell them. Unfortunately for telling the truth here, he has created a website specifically to discredit me (roulettesystemsexposed.com). But if he can provide me with any information to support his claims of casino flaws or winning systems, then I’ll gladly apologize and amend the material here. 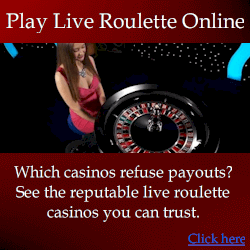 Btw, nice idea for a site: to actually review roulette methods. And you seem to know your stuff. Keep up the good work.